Mobile ID system by Innovation Development HUB – the first in Ukraine, which successfully passed the state expertise! On January 19, Administration of the State Service for Special Communications and Information Protection of Ukraine has completed the state examination of electronic identification, authentication and digital signature system under Mobile ID technology. Subject to expertise in the field of cryptographic information protection was Mobile ID solution of Ukrainian company INNOVATION DEVELOPMENT HUB, which is a licensee in the field of cryptographic and technical information protection. Leading Ukrainian experts in the field of cryptography, data protection and software design were involved in system development. At all stages, creation of Mobile ID was supervised by the State Service for Special Communications and Information Protection of Ukraine. Program code of the system has been thoroughly examined by state experts to prove absence of potentially harmful fragments or vulnerabilities. Thus, the highest level of security and reliability of Mobile ID system from INNOVATION DEVELOPMENT HUB is guaranteed by the State, which is confirmed by obtained Expert conclusions (##04/02 / 03-165-170, dated January 19, 2018). Mobile ID system from INNOVATION DEVELOPMENT HUB is the first – and for now the only – solution of 100% Ukrainian production, in which cryptographic algorithms are implemented in accordance with the requirements of national and international standards. Due to this, electronic digital signature imposed via Mobile ID possesses full legal significance in Ukraine, unlike foreign solutions that do not use multiple algorithms. – ensure operation is blocked in case of compromised key or suspicious transactions. ∙ SHA-256, SHA-512 hashing algorithms according to DSTU ISO / IEC 10118-3: 2005. 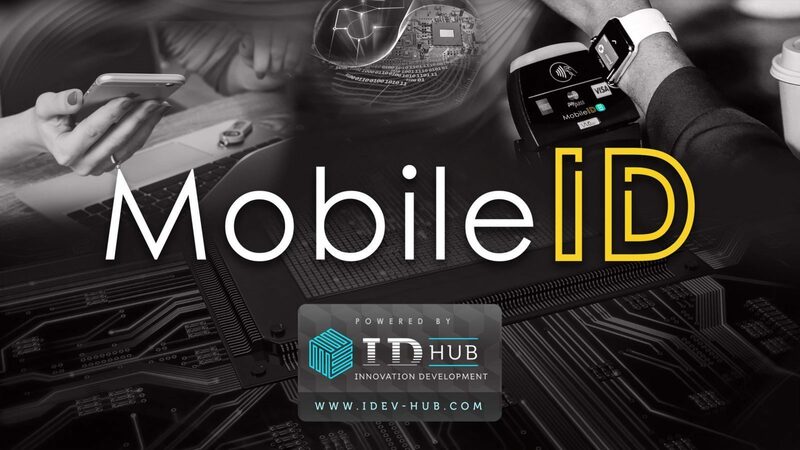 Such unique combination of standards and algorithms distinguishes Mobile ID solution by INNOVATION DEVELOPMENT HUB from similar systems of domestic and foreign design. Mobile ID system uses cryptographic library of INNOVATION DEVELOPMENT HUB own design, which operates under most common operating systems Windows, Linux, iOS, Android. The crypto-library also passed state examination for compliance with the requirements of legal acts in the field of cryptographic information protection and international standards of information security. 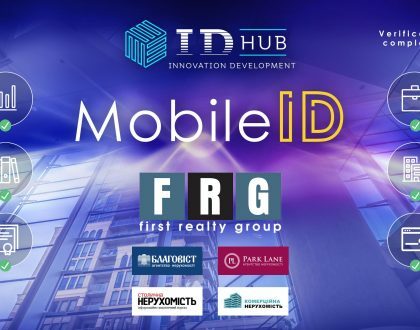 Mobile ID by INNOVATION DEVELOPMENT HUB is perfectly adapted to the specificity of Ukrainian public keys infrastructure, is completely ready for practical implementation and in the nearest future is capable of functioning within cross-border dimension of electronic trust services. As secure private key carrier, a smart card based on SWP standard SIM card with SLE 97XXXXXXXXXXXX cryptographic controller and protected memory area is used. Such cards also passed the state expertise and can be manufactured in Ukraine under State control. Operational efficiency Mobile ID system from INNOVATION DEVELOPMENT HUB was confirmed by trial use within systems of Ukrainian mobile operators, major Certification authorities and tested directly inside productive environment of online services. By this, Ukraine has completed one of stages of practical implementation of Mobile ID technology, which is defined by the Government as one of priorities for digital society progress and electronic governance efficiency. Congratulations to entire digital community, suppliers and users of electronic services, stakeholders and pioneers of digital interaction with this remarkable event! The developer company invites owners of electronic services, Internet banking, online tax reporting systems, as well as certification centers and mobile operators to cooperate on future approbation and implementation of Mobile ID system.